This loud and rowdy spot is so much fun for the entire family, and everyone should pay a visit to the Wilderness Lodge to admire the stunning lobby and architecture. 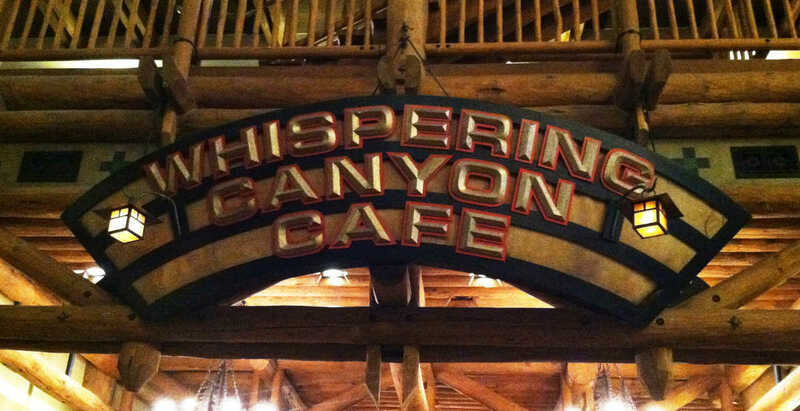 Whispering Canyon is open for breakfast, lunch and dinner and serves up western and American favorites like Barbecue. Dinner features a build your own family platter with a choice of several meats like ribs, pulled pork and fish. The real fun here comes with the antics of the servers. You can participate in stick pony races around the restaurant, you may be served an extra, extra large drink or a long straw, and don’t forget to ask for ketchup!